Dunes at Shoal Harbor is a condo / townhouse community in the Port Monmouth section of Middletown, NJ. Buyers will find that there are both single level condos and multi level townhouses available. All of the upscale condos come with two bedrooms and two baths. And the townhouses have either three or four bedrooms with 3.5 baths. All of the homes have a one car garage, additionally the homes range in size from 1492 square feet to 2611 square feet. Built in the mid 2000s, Dunes at Shoal Harbor consists of 123 homes. Due to it’s location on the Raritan Bay, many of the homes have water views of the Raritan Bay and the New York City skyline. 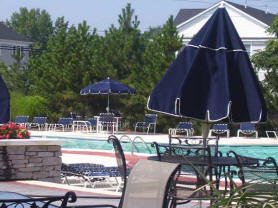 The Dunes has a clubhouse with a pool and exercise facilities. In addition, beach access is also available. Sandy Hook is close, as is shopping and dining. And in the area you can enjoy boating, fishing, golf and much more. This community welcomes your pets. Commuters love it here because the Sea Streak Ferry to New York is within easy walking distance. The New Jersey Transit train station is nearby in Matawan. Bus service to New York is also nearby along with easy access to the Garden State Parkway. Students will enroll at Port Monmouth Elementary School or Thorne Middle School. When children enter high school they will attend Middletown North High School. A variety of private schools are also in the immediate area. Some of these private schools are Saint John Vianney, Red Bank Catholic and Christian Brothers Academy – among others. Yet another option for high school students is to attend the Monmouth County Vocational School District. Specialized courses are available in fields such as computer science, and biotechnology. Also courses in the medical and science fields are available, among others. 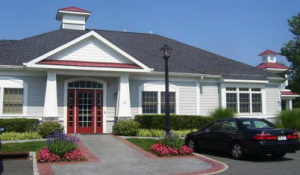 Call 732-598-7700 to see the Condos For Sale in Dunes at Shoal Harbor or Dunes Shoal Harbor.